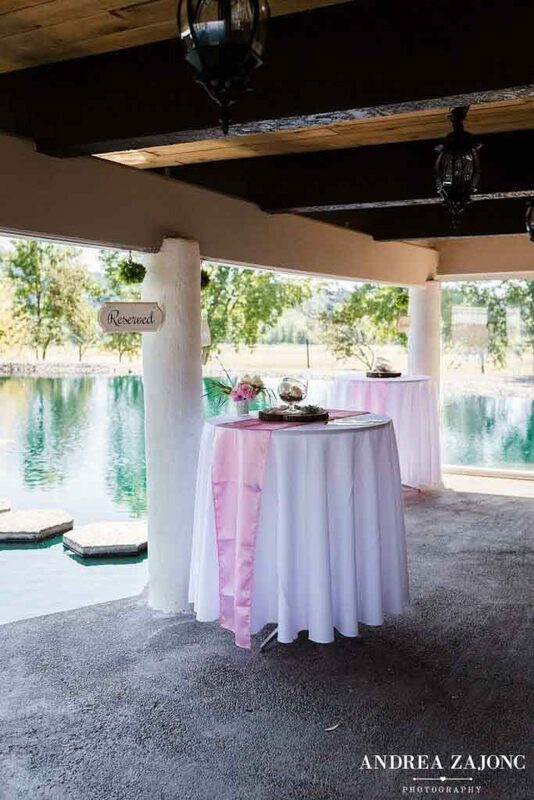 The Cabana and Beach are two fun spots on the property that are perfect for those who want to be married near the water, are having a smaller wedding or are interested in taking advantage of the diversity of our property. The photo below shows the view of the bridge from the cabana. 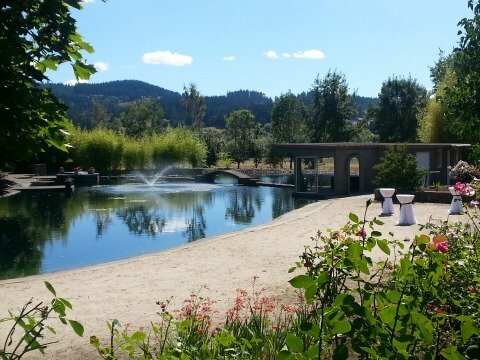 It’s perfect for pictures, hosting a rehearsal dinner or enjoying some pre-wedding quiet time. 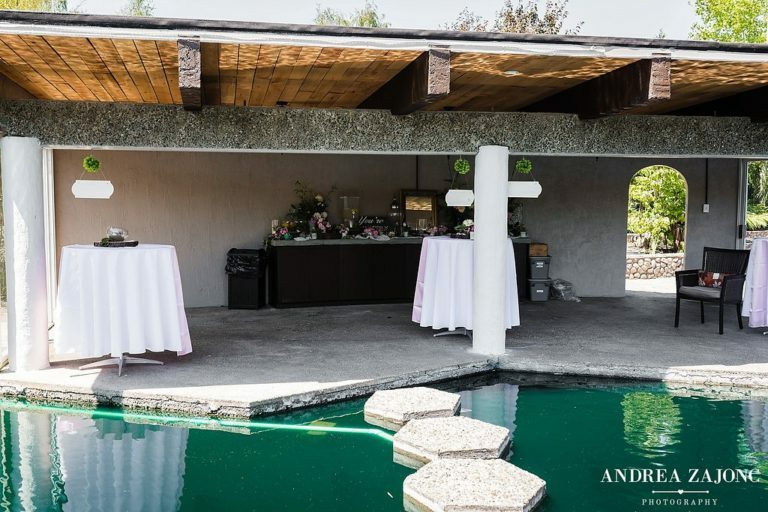 Under the shade of the cabana you’ll find plenty of room for tables and a great counter to hold your buffet and decor. 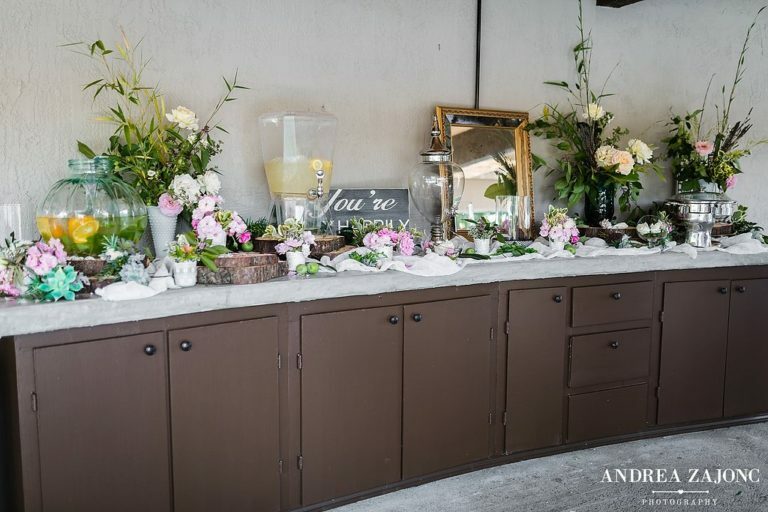 The pastel colors mixed with the rustic accents are a perfect match for this area. They play wonderfully against the beautiful, blue water and tree lined view. Inside the Cabana you can access the beach, a path to the tent and restrooms or the walking stones to the bridge on the water for some incredible photo opportunities. 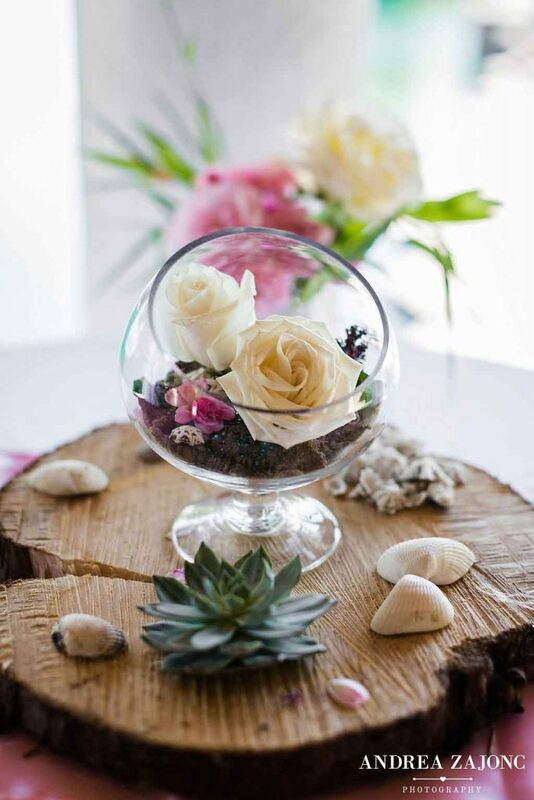 Don’t forget about the beach when planning your wedding at The Water Oasis. 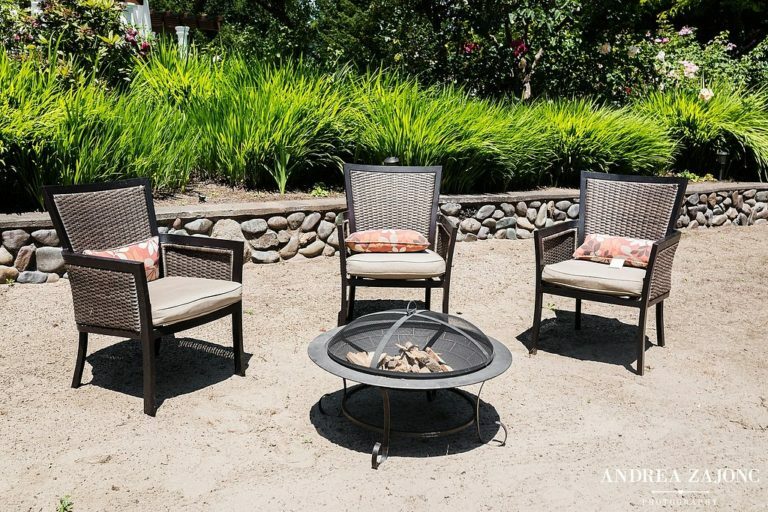 It can be a nice quiet area for roasting marshmallows, a lovely private, sandy ceremony or a place for guests to play lawn games. The versatility of these two areas are incredible. 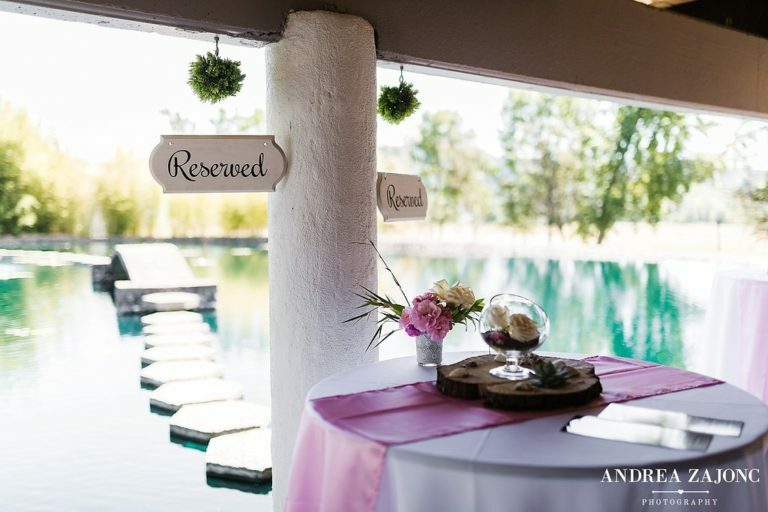 From gorgeous photo spots to bridal showers to family parties, we can host them all.